Thousands of tourists visit annually, usually by road, causing congestion and chaos in Glenfinnan village on a daily basis. 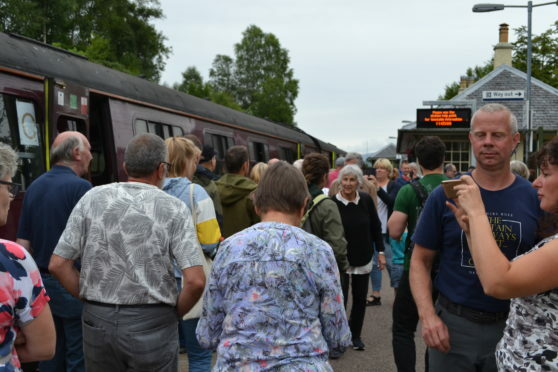 Residents are calling for better rail services on the legendary West Highland Line from Fort William to Mallaig, to encourage more to come by train, reducing the traffic chaos. In this audio, with tourists milling about the station after the arrival of The Jacobite steam train, P&J reporter Susy hears from Hege Henaers, Glenfinnan station museum curator about her community’s hopes for better rail services.